IPD has been testing and developing a new 82mm Competition version Plenum for modified 996 and 997.1 Carreras. The larger 82mm throttle body, from the 997 GT3, has a 22.8% increase in cross sectional area allowing for considerably more air flow into the Plenum and ultimately inside the combustion chambers for increased performance. IPD has a wide variety of "Competition" Plenums, all which utilize larger throttle bodies, but never one for the Carreras, until now. The bulk of power and torque gains come from the patented "Y" designed Plenum (with factory OE size TB) but Porsches with additional performance mods can realize even more power with the larger Plenum and TB. Initial prototype Plenum tests have been conducted by Shahin Mobine of RennTrack.com on his highly modified 997 Carrera S. The 997 S started life as a street car, but has become an extension of Shahin's persona, and is now a dedicated track car focused on dominating the Owners Club Race Class in the POC. 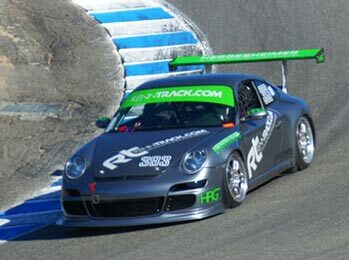 The RennTrack.com / HRG #393 is fully modified to Race Specs Race Series which requires all cars to compete at a GT3 Horsepower to Weight ratio to ensure tight competition and prevent skyrocketing costs. The car finished 2nd place overall in the GT3 class driver championship after only competing in less than half of the season. The RennTrack.com / HRG #393 claimed 2 first places, 3 second places and 3 third place finishes. The car ran and finished ahead of many 996 and 997 factory-motorsport Porsche Cup Cars. 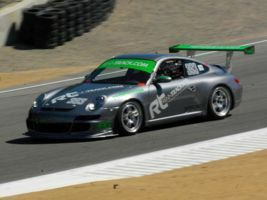 The 997 S will be campaigned in the same series for 2012, seeking an overall GT3 championship. Shahin said, "Since we race in a HP/Weight class, we are always looking for a way to develop the car further to make it faster. After looking at the car we decided we could improve the stock intake system to bring in more air to the engine at a faster and smoother rate. I put a call in to Greg at IPD and discussed a few options. After explaining to him more about our car and our plans we both decided to move forward with a brand new prototype Competition Plenum that IPD was developing for more modified cars like our race car." 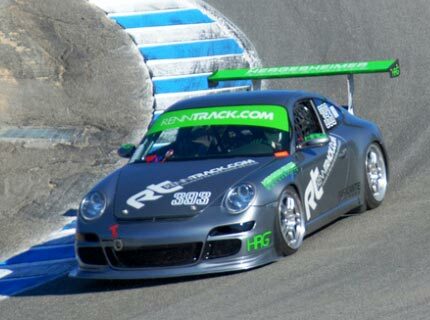 "The car's engine is equipped with a custom 997 C2S race intake, Lucas Fabrication headers, Lucas Fabrication Cat-Bypass race exhaust, IPD 997 3.8 Competition Plenum, Porsche 997 GT3 Throttle Body and BMC replacement air filter." Shahin continued to expand, "Together the new plenum and larger 997 GT3 throttle body would help our engine get a larger volume of cold air from our ram air decklid, allowing the engine to work even more efficiently and produce even more power. 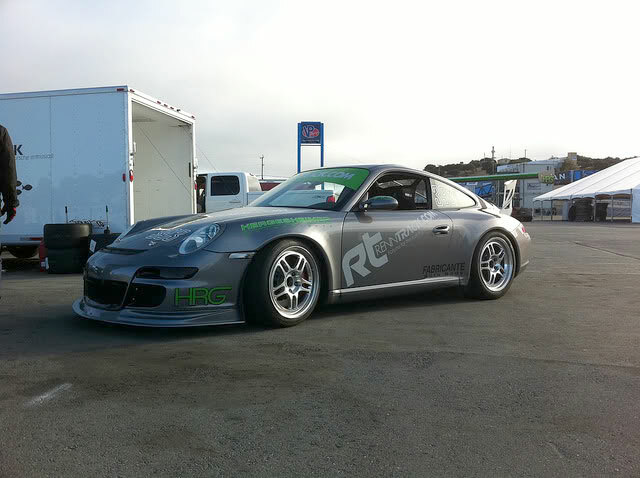 After Hergesheimer Motorsports installed the IPD plenum and 997 GT3 throttle body, the cars sounded instantly meaner! We all looked at each other and smiled. "She sounds like she is reving faster and the exhaust sounds deeper, you can even hear the air box more!" "We loaded the car into the trailer and off to the track. After a few laps, the car just seemed more peppy, it would accelerate and pull more quickly, shifts points slightly changed and I found myself shifting sooner before hitting redline than previous times at the track. Overall I could not be happier with the results, the car sounds, and feels better and at the end of the weekend our lap times in the car were the fastest the car has run at Willow Springs. Big thanks to Greg and the whole IPD crew for letting us test the new 82mm prototype Plenum and for providing such a great product and even better service." 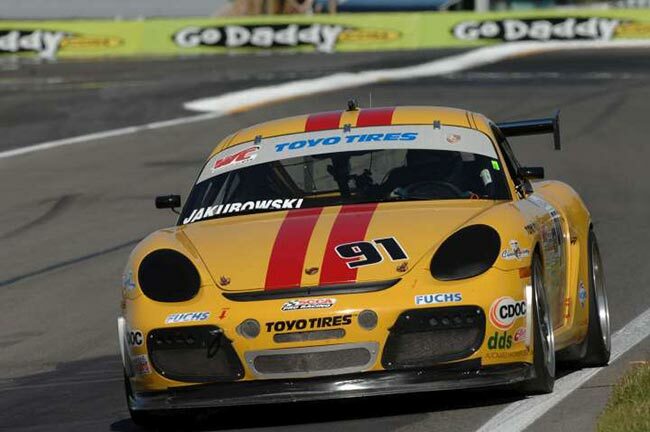 Ernie Jakubowski of Mantis Racing operating out of Oakville, Canada (just south of Toronto) has been racing Porsches longer and harder than just about anyone. 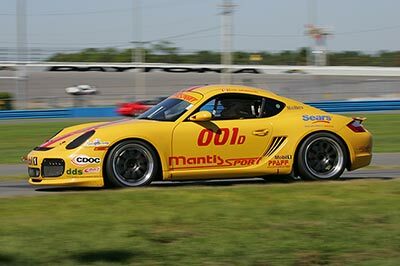 During his passionate racing career he has achieved countless Porsche race wins, podiums and championships but now he's gunning for glory in the World Challenge GTS series in his yellow 987.1 Cayman S.
The Speed World Challenge GTS class has been dominated by the Cunningham Acuras since the GTS class began. The team has achieved numerous victories, poles, records and consistent drivers and manufacturers titles every season making them one of the most dominant forces in motorsports. The Cunningham racing dynasty is a full fledge factory effort with factory resources from Honda/Acura dedicated to finishing on top of the podium and capturing championships. This dominance has been tested over the years but never really threatened. That is until this past 2010 GTS season when a new sheriff rolled into town driving a yellow Porsche Cayman S. Below is the "David vs. Goliath" story of Ernie and the Mantis team's impressive "partial" season effort against the Cunningham Acuras and the more potent Mustang GT's, Corvettes, Vipers and Porsche GT3's told by Ernie himself. Well to start, MantisSport wasn't even contemplating racing World Challenge in 2010. The plan was race several PCA races; Sebring, Mid-Ohio, Watkins Glen and Mosport. 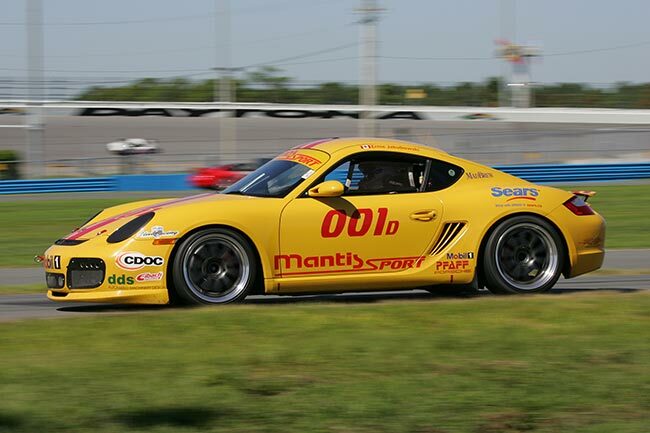 World challenge phones up and asks if MantisSport would like to race in their new GTS class. Sure why not, "like giving a drowning man a anchor". 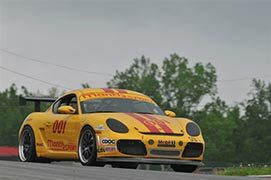 Its midway through the season, Mosport (May 24th) weekend race is between the Mid-Ohio and Watkins Glen PCA races, 3 races in 3 weeks not happening. We had not even tested with the spec Toyo R888 tires. 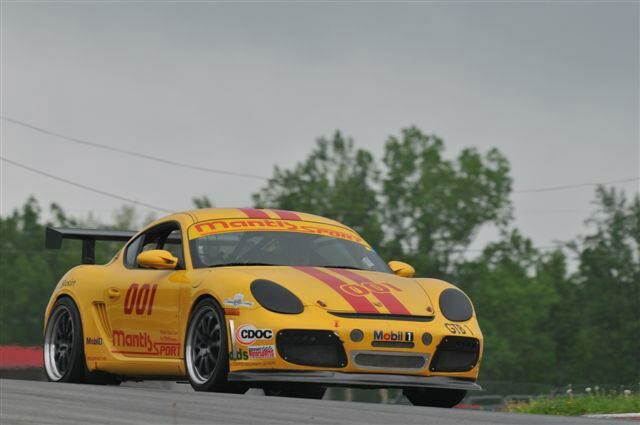 MantisSport makes the races at Sebring and Mid-Ohio but missed the WC race at Mosport. We did however "observe" the race at Mosport. 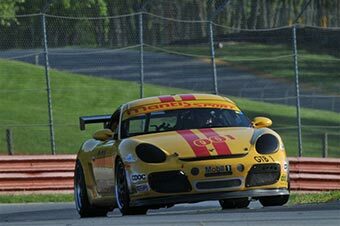 Next weekend raced at Watkins Glen PCA. That week we finally tested on Toyo tires. Mat White 3 time FF champion comes to test with us. With 2 data samples, we conclude we could be competitive in World challenge. First WC race is at Watkins Glen a few days later. We feel good about our chances and order up another set of tires for the race. They are 2007 tires that don't feel great, second practice we change tires back to the 2010 test tires still beat up from testing but managed to improve 1.5 seconds. Needless to say, we qualify and race on the test tires. After the dust settled we qualified 3rd and finished 3rd. Second WC race, home town track at Toronto Honda Indy, I have raced here twice before so I feel we have a slight edge. Again, we qualify 3rd but know we need more performance to beat the Acuras. The search for more HP and improved handling becomes critical. Under braking, the car isn't as stable as when shoed with Hoosiers. The light goes green and we get a perfect launch putting us in P2 going into turn 1. While battling for the lead we get hit and spun by the Acura. We fought back, regaining second when the checked flag finally dropped. Third race Mid-Ohio, we get a 100 pound break on weight putting us at 2900 lbs instead of 3000 lbs with driver. Unfortunately we receive this news at the track. The Ford Mustangs show up with FR500s, plus some additional Acura's, we have our work cut out. Again we qualify 3rd out pacing the mustangs V8 power. Saturday's race ran up in second until I spun into a gravel trap. Sunday's race started with a perfect launch giving us the lead going into the first turn. Cunningham gets by 13 laps later after working on me the whole time, he slowly pulls away. The field gets packed with a full course caution 6 laps from the finish. When the track goes green the GT3 behind me (who initially caused the caution), passes me coming onto the straight. Unfortunately the GT3 then cut in front of me, clipped my front wheel and sent me spinning off. After regaining control I find myself 13 positions behind. During the next 2-3 laps I drive the Cayman at the absolute limit working my way through the field passing cars every opportunity until we regain 3rd place when the race ends. Now that was fun and I wasn't going let that race be a poor result. 4th WC race, VIR, we properly put the Cayman on a diet and found some additional performance. Weight loss came in the form of lightweight doors which shed 40lbs, while additional performance came from a GT LSD unit which provided much improved stability under braking. Additional power came from upgrading the standard 74mm IPD plenum with IPD's "competition" 82mm Plenum and GT3 throttle body. The weekend of Mistakes. We again qualify 3rd, but left the hot pits without asking. Well that got us a penalty forcing us to start from the back of the class, no time. Saturday race start saw us go from last to 6th before turn one, I am beside Cunningham going into turn one, he started pole. A Corvette and Viper end up spinning in front us, I let Cunningham go, Corvette almost hits Cunningham. Cunningham pulls away when it starts raining. The second Acura has been on my heels but falls off the pace (rain?) and I start gaining on the leading Acura. A few laps from the end Cunningham pulls into the pits (engine issue) We win, then do not. We are found to be ½" too low ahead of the rear wheels during post race inspection, the engine sump is sticking down ½" too low, DQ'ed. We spend 3 hours getting the car to the approved ride height, raise the rear, the front chin splitter is too low, the rear wing is too high, got it right. Saturday night, both Acura's have their engine changed, maybe we are finally pushing them? Qualify again 3rd, now the crew is also taking care of two 944s in the National championship race in the morning, we loose track of time. Late for pre-grid for the WC race, there's a penalty for that, starting from the pits, not happy about that. At the start there's a big accident, missed that. 30 second behind the Acura's after lap 1. Managed to bring the gap down to 7 seconds at the end after driving through the Touring and GTS field to finish 3rd. 5th race of the WC season and last, Miller Motor Sport Park. After a very long drive out, 1 day early to acclimatize. The goal this weekend was to survive, gather enough points to finish 3rd in the GTS points, which we did. Now since we will be switching to Pirelli slicks next year, we didn't buy new tires for this one race. Thought we would have things well in hand. Surprise, WC gives the Mustangs 80hp more, 300 lbs less weight and 2 corvettes show up. This is a horse power track, damn, but we still qualify 7th on old tires (pretty quick), If we had new tires we would have been right up there. The race, standing start, I get a smoking start, I think I could have cut it even better as it happens, within 100ft I am in second place only the Corvette which was on pole ahead. All short lived, as Cunningham and I contact each other as we pass the start finish line, I end up with a cut rear tire. One long slow lap into the pits, change tire and finished high enough to get 3rd in points. So in the end, MantisSport finished 3rd in GTS points and won the Game Streamer Rookie Award. Thank You to IPD for their 82mm Competition Plenum that utilizes the 82mm GT3 throttle body. It just plain worked and delivered the additional power we needed to challenge those dominating Acuras.